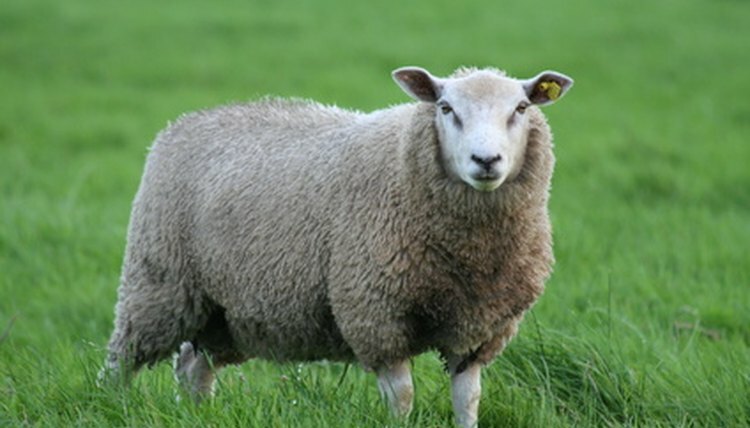 Hair loss on sheep is an indication of either insect infestation or disease and should be addressed as soon as the condition is identified. Mange is also known as scabies, scab or itch. It is caused by mites that burrow under the skin and, in some cases, in the hair follicles of animals. As a result of burrowing in the hair follicles, an animal will lose hair and may experience secondary infection due to continuous scratching. Lice irritate animals by biting and sucking blood from their hosts. Lice infestation causes constant scratching which can result in loss of hair and wool. 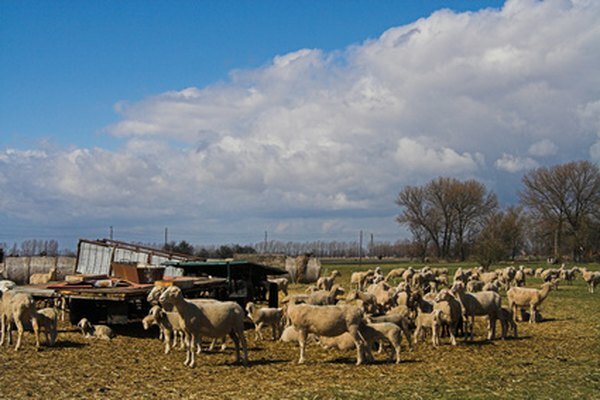 Kelli Gunderson, Livestock Editor at Agri-View, writes that scrapie is "a fatal disease affecting the central nervous system of sheep and goats and is most commonly spread when lambs or kids come into contact with placentas of infected ewes or does." Among the symptoms is chronic scratching which can cause bald spots. Ringworm is not caused by a worm but by a fungus. Ringworm usually appears on the face, ears and neck on the infected animal. Symptoms of ringworm are hair loss, with flaky, crusty, irritated skin. All of these conditions are highly transmissible. Mange and lice are more problematic in the winter when animals share close quarters. Animals infected with insect-borne disease should be quarantined. Animals that are in poor health are more susceptible to lice. Ringworm can be transmitted from animals, soil or contaminated equipment.